ROME (ANA/ N. Lionakis) Greece is seeking a clear answer regarding labor relations and collective bargaining, Prime Minister Alexis Tsipras said in a letter addressed to the heads of the EU’s executive and decision-making institutions on Friday, as well as the 27 EU heads of state and government apart from Greece. “Ahead of the Rome Summit, I underline that Greece desires to celebrate the 60-year anniversary of the EU with its partners and especially the major common achievements of our peoples…in order to truly celebrate these achievements, however, we must know openly, officially and clearly whether we also have the right to have access to these achievements. 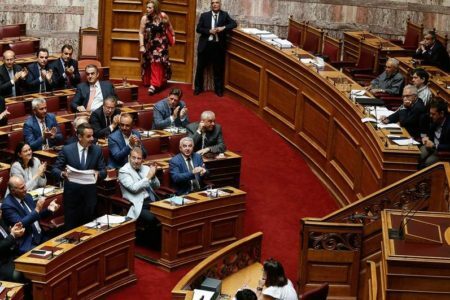 We must know whether the European acquis applies to all countries without exception or whether it applies to everyone except Greece,” Tsipras said. The Greek prime minister’s letter was addressed to European Council President Donald Tusk, European Commission President Jean-Claude Juncker, the current chair of the rotating EU Council presidency Maltese Prime Minister Joseph Muscat and Italian Prime Minister Paolo Gentiloni, who will be chairing the Rome summit, in addition to the heads of the other member-states apart from Greece. 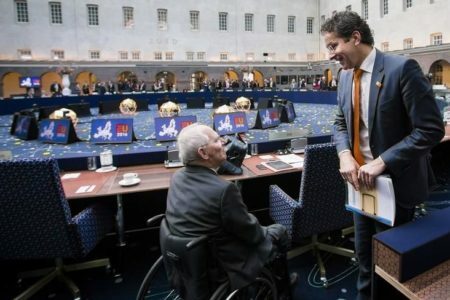 In the letter, Tsipras noted that the EU had enshrined a number of achievements made by the people of Europe, including progress, prosperity, peace and the protection of fundamental rights, including freedom of expression, freedom of movement, the right to employment and social protection. “Unfortunately, in recent years many of these achievements are being threatened in spite of being protected by law. It falls to the democratic choice of the people of Europe and the will of the governments they elect to defend these and expand them. Is this true in all cases? Sadly, not in all. In my country this right is curtailed,” he pointed out. The Greek government has for years now being trying to restore the European social model to Greece and lift the status of exception with regard to labor relations, Tsipras added. “We fully respect the commitments we undertook for the necessary fiscal adjustment and reform of the economy and labor market. We have, in any case, observed these commitments to the letter. 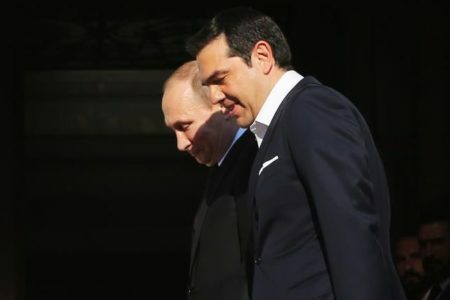 We cannot, however, understand demands that go beyond these commitments, such as that of extending Greece’s exception from the European social acquis,” he said. This demand was responsible for an unjustifiable delay in completing the second review of the Greek program, which was depriving the Greek economy of recovery momentum at a crucial moment, Tsipras stressed.